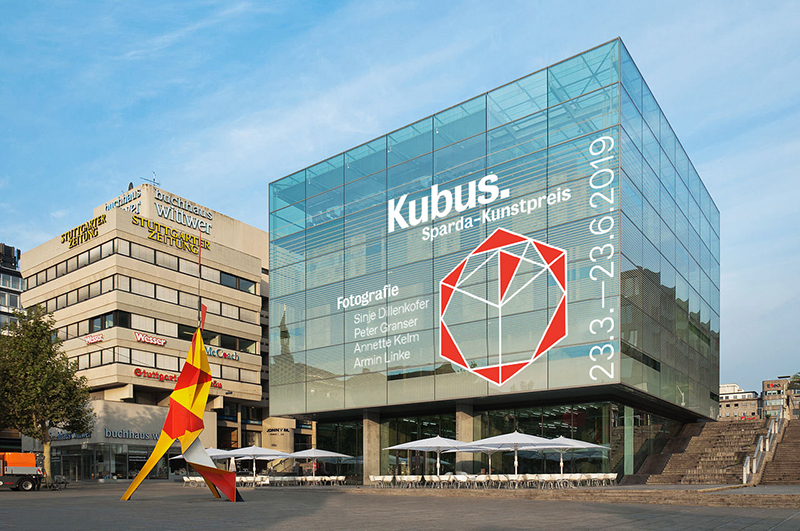 In 2019, the »Kubus« art prize, jointly established by the Sparda-Bank Baden-Württemberg and the Kunstmuseum Stuttgart, is being awarded for the fourth time. The prize honors an outstanding achievement in the visual arts. It is directed toward artists who were either born in Baden-Württemberg or have a close connection to the state through their artistic work. For this year’s edition, a panel of representatives from art and cultural institutions in Baden-Württemberg has proposed artists who work with photography in various ways. Four artists were then nominated by a jury consisting of, in addition to representatives of the Kunstmuseum Stuttgart, Dr. Felix Krämer (General Director of the Stiftung Museum Kunstpalast, Düsseldorf), Dr. Stefan Gronert (Curator of Photography and Media, Sprengel Museum, Hanover) and Dr. Barbara Engelbach (Curator of the Collection of Contemporary Art, Photography, and Media Art, Museum Ludwig, Cologne). will each present present their work at the museum in separate spaces. A second jury will determine this year’s prize winner on May 21, 2019. Moreover, the Sparda-Bank Baden-Württemberg is once again awarding an audience prize. You can vote for your favorite artist until the exhibition closes. The »Stiftung Kunst und Kultur« is one of four foundations of the Sparda-Bank Baden-Württemberg. The Stiftung Kunst und Kultur promotes music, literature, and the performing and visual arts, as well as cultural institutions and events such as concerts and art exhibitions. The purpose of the foundation is the promotion of art and culture, including the maintenance and preservation of cultural values. Through the work of the Stiftung Kunst und Kultur, the Sparda-Bank aims to strengthen cultural diversity in Baden-Württemberg, promote encounters with art and artists through events – such as seminars and conferences, as well as performances, readings, concerts, and exhibitions – and support communication and cooperation between protagonists in the cultural realm. The main focus of support is on young talents.